The G8 summit has delivered an apparent consensus that action must be taken to limit greenhouse gas emissions, but uncertainty remains on the best way to tackle the problem. In this week's Green Room, Clemens Betzel argues devices that generate their own power must be part of the solution. As a society, we are beginning to accept that climate change is a challenge of monumental proportions. While governments and businesses are grasping the nettle with varying degrees of urgency, the importance of small actions of carbon reduction is being trumpeted with increasing regularity. In the UK, households are rightly being encouraged to switch off, insulate their homes and condemn the standby facility to a luxury of yesteryear. 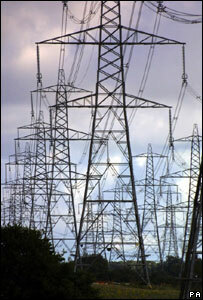 But what of power generation and its role within the climate change debate? Policy makers and politicians continue to focus their efforts on large-scale grid networks; they are not offering serious backing to the alternatives. Nationwide grid power projects are clearly a major player in addressing climate change, but they should not prevent the promotion of small-scale technologies for harnessing renewable energy. Microgeneration does not suffer from the same inefficiencies as large grid systems because the electricity is not transmitted through wires over many miles - what is generated is used. The benefits of microgeneration go well beyond the production of heat and electricity. There is a clear link between microgeneration and environmental awareness. But small-scale generation in the UK, such as photovoltaic solar roofing panels, are currently reliant on government subsidies, which have not been forthcoming. 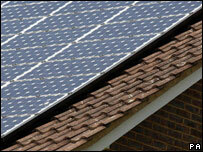 The Budget in March saw the government raise its £12m fund for home microgeneration grants to just £18m. This fund has to last three years and the only way of coping with demand has been to hold three-monthly application windows where grant quotas are reached within 30 minutes - this is a woefully inadequate solution. But there is another level of alternative generation that is, at present, unheralded and which will become more and more relevant as technological development gathers pace - nanogeneration. This refers to the "greening up" of everyday products so that they are as near to self-sufficient in terms of energy consumption as is possible. Nanogeneration is not reliant on government subsidies, nor a national grid system, and represents an affordable way for people to play a role in the generation of green power. Consider this: the Energy Savings Trust estimates that mobile phone chargers left plugged in waste over £60m and are responsible for a quarter of a million tonnes of CO2 in the UK every year. Now consider the fact that all it would take to wipe out these emissions would be the introduction of a small photovoltaic device to replace each charger - one which is flexible, durable, cheap to produce and, crucially, works in ambient (indoor) light. This is not a pipe-dream. I know because my own business, G24 Innovations, has just built a factory in Cardiff to manufacture this technological breakthrough in solar cells on a large scale. The technology can also be integrated into electronic goods, "smart clothing", tents and building materials; allowing everyday products to play a role in reducing our reliance on traditional power generation. 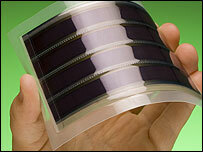 The growth of nanogeneration will ultimately replace the least efficient form of energy storage - the battery. The average battery uses up to 30 times more energy in production than it can ever deliver in power. When you consider the sheer number of everyday products which are currently reliant on battery power, the importance of this issue becomes even clearer. Nanogeneration can have a small but certainly not insignificant role to play in the West's bid to cut carbon emissions. It can also be a method of introducing sustainable clean energy to the developing world and make a real impact on billions of individual lives. Energy access in the developing world can be scarce, is often unreliable and is always expensive. The International Finance Corporation (IFC), the private sector arm of the World Bank, and World Resources Institute, recently issued a report which found that a lack of clean, affordable energy is part of the poverty trap in the developing world. Pollution from the indoor use of harmful fuels for cooking and lighting leads to significant health problems. And the higher cost of inefficient energy-using devices adds to the cost of being poor. As nanogeneration gathers pace, it can help address these problems. The technology would help replace harmful paraffin lighting, widely used in the developing world. Using, for example, two watt dye-sensitised solar cell chargers with integrated LED lights, could save 1.5 million tonnes of carbon dioxide (CO2) annually, while saving money and improving health. Our business is but one example of how advances in technology have brought nanogeneration into play. These are real power solutions which have a clear role to play in the future energy mix. Microgeneration and nanogeneration can live alongside Grid-based systems. Indeed they are symbiotic, with local generation reducing the need for spare generation capacity to cope with spikes in demand. With the right backing and commercial partnerships, nanogeneration will have a huge impact.